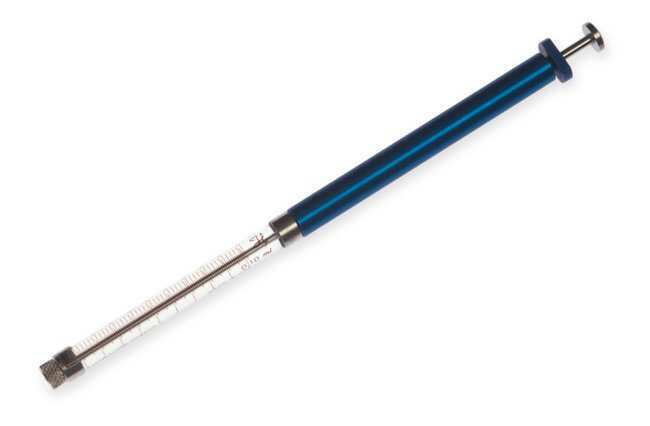 Attached to the flange of the 700 series syringe is a blue Syringe Holder that provides a spot to hold the syringe that will not heat up the barrel causing dispense inaccuracies. Additionally it provides support to small volume plungers that are prone to bending during injection. This series of syringes is ideal for dispensing volumes from 0.5 µL up to 250 µL.